It's time for a new issue at Paper Issues: Get Your Game On! Ideas for projects you can link up would be sports, World Series, Superbowl, Olympics, family game night, favorite game, memories of childhood games/what games do your children play, dance, extracurricular activities, use bingo cards or game pieces, spinners, video games, Wii or other gaming systems. 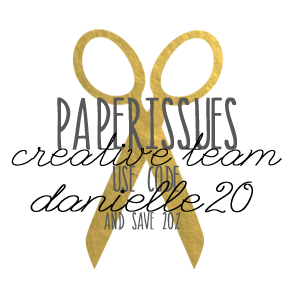 One lucky winner will receive a $20 gift certificate to the Paper Issues store!! I love to play golf, even though I don't have much time for it. Usually I play when on vacation and where it's nice and warm. 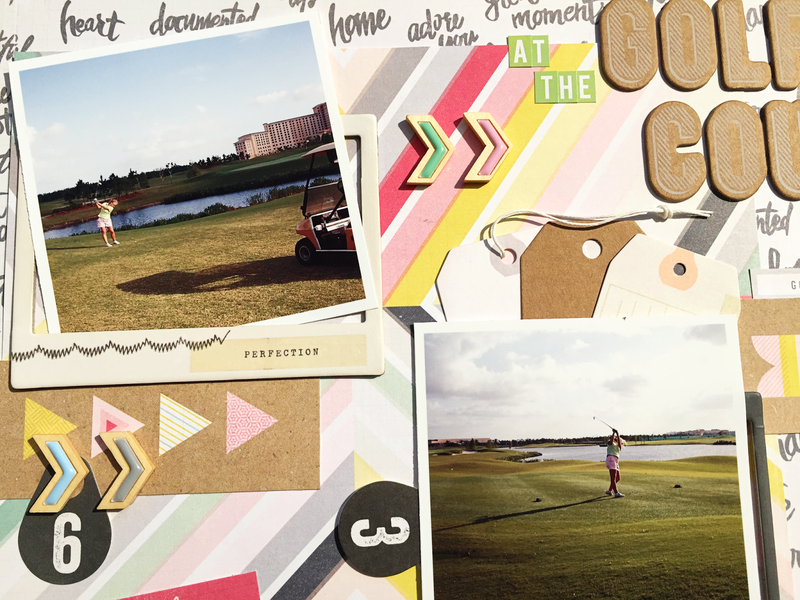 These golf pictures were taken at a golf course in Orlando FL and are perfect for this issue. 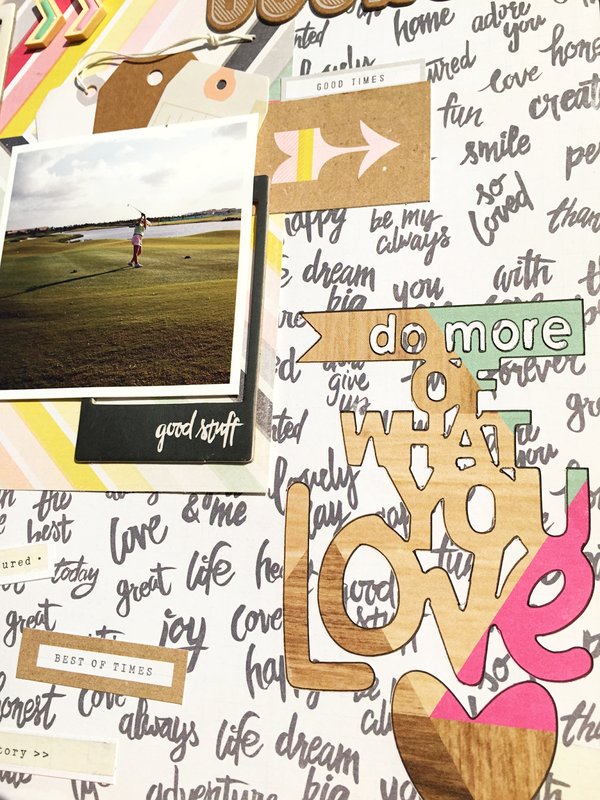 I used the Crate Paper Notes & Things collection, Pinkfresh Studio wood drop chevrons and the Words to Live By cut file from The Cut Shoppe. 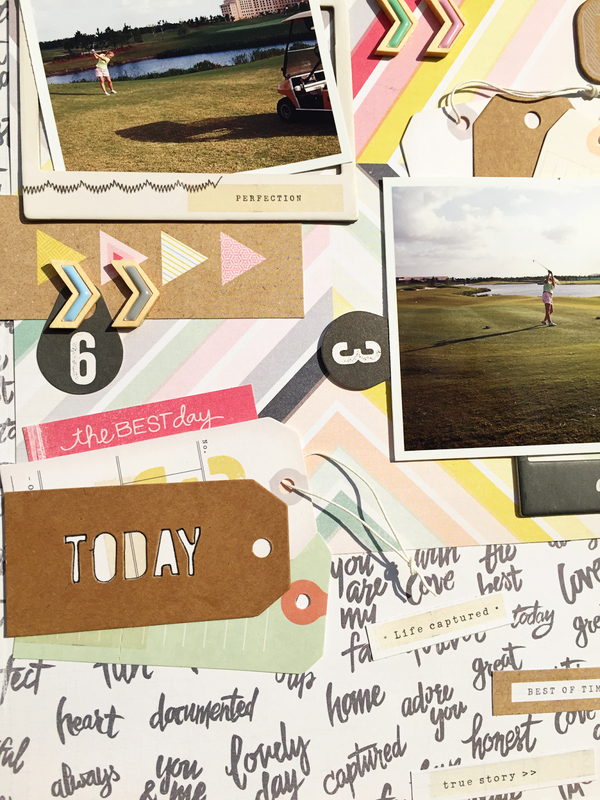 Now we want to see your projects and you might be our lucky winner of a $20 gift certificate to spend in the Paper Issues store! Remember, you can shop at the Paper Issues store with 20% off every single time when you use code DANIELLE20 at check out! 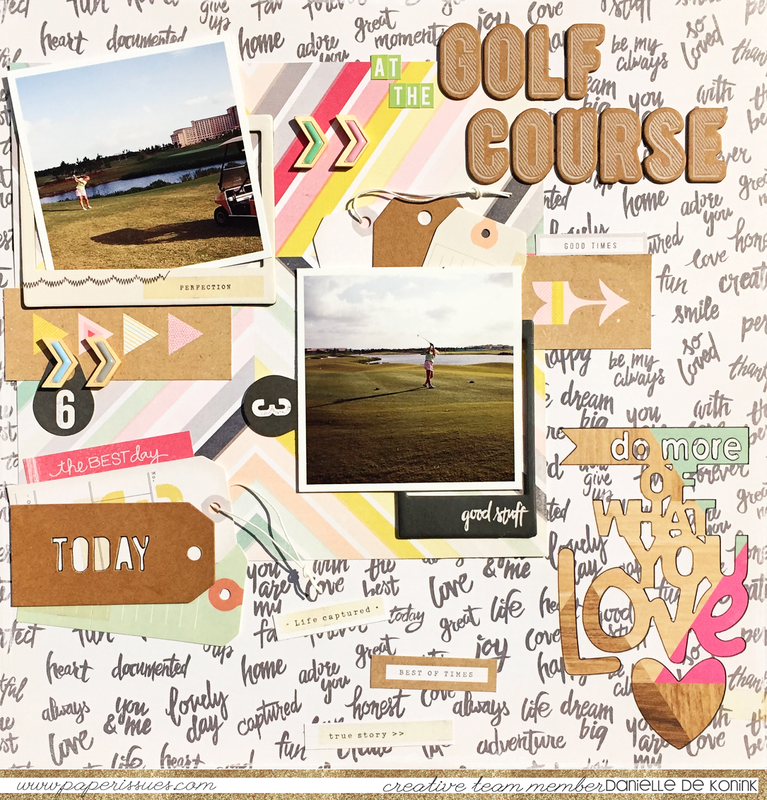 Love all if the CP on this layout Danielle! Really awesome page!